I am currently recovering from an amazing cold, the kind of cold that really knocked me about. I still completed an ice bucket challenge towards the end of it, but in retrospect this may have hindered my recovery… Anyway I thought it was about time I went for a juice based drink, to top up on my vitamins etc. 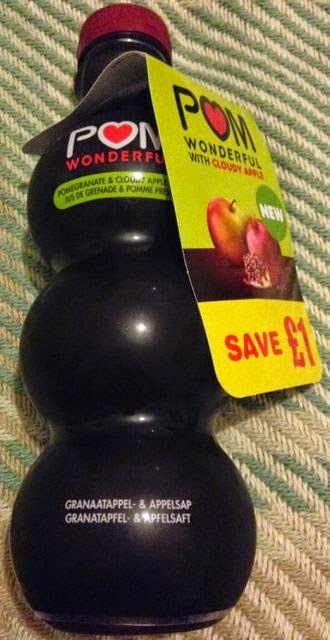 Pom Wonderful have a new flavour out, this Pomegranate and Cloudy Apple and I thought I’d give it the taste test. The bottles are very distinctive on the shelf with their bobbly effect, and do feel very tactile to hold. The drink itself is a deep red colour, and pours quite thinly, definitely a proper juice and not a smoothie hybrid. The flavour is lovely and rich. The dark fruit has an initial sharpness, and lovely bite, but the apple softens this and leaves a very clean feeling after each sip. 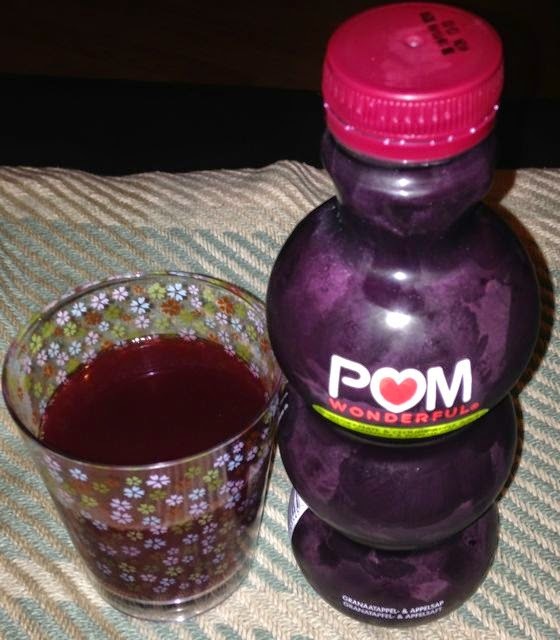 I know NLi10 is a big fan of pomegranate juice, and I can see why. Its very refreshing, and has a crisp taste. I liked the addition of the apple as I feel it just gives it a slightly smoother finish. The lovely folks from Pom Wonderful want to give you the chance to get creative and win a POM cocktail making kit. In order to enter you need to follow this blog via Email, Twitter, Pinterest or Facebook (all the links are on menu on the right). 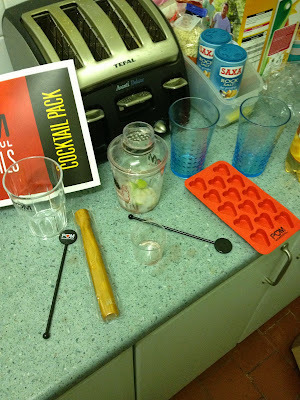 Then send an email to admin@foodstufffinds.co.uk with COMP in the subject line, AND let me know how you follow us (i.e. your name on Facebook, your email address that subscribes or your @name on twitter or your name on Pinterest). • If we can’t get in touch with each winner in a reasonable amount of time to obtain an address another winner will be selected.